The aftershocks of the 1978 plane crash that shook San Diego’s North Park neighborhood are still, decades later, rippling through the lives of its residents. Both the new and long-term are struggling with some deep emotional trauma that is simultaneously exacerbated and deflected by the neighborhood’s macabre obsession with the tragedy. The book opens, rather brilliantly, with a 42-page novella that serves to introduce the rag-tag group (who will later flow out into their own linked stories) and to set the tone for the overall collection, which moves from a view of doomed paradise to redemptive oasis. The main focus of this opening novella, which appropriately lends its title to the book, is a couple whose marriage is strained by the husband’s worsening depression. As we get increasingly tender and heart-shattering glimpses into their lives, we watch another more manic neighbor plan an anniversary gathering that will mark the 30thyear since the tragedy. This “party” is complete with photos of mangled homes and body parts, and the husband John, who is also a writer and planning to cover the event, is soon pushed into the hospital by the stress of the situation. It is then that his patient wife Lenore reflects on her choices and realizes that the same beautiful brokenness that has attracted her to John is also what has drawn her into the artsy but ghost-infested North Park area. The two tall men paced the backyard, first the burly one tracking the boundaries of his land, the slim red-headed one pacing behind, the dogs barking, the cats following, even two green macaws looking on from a satellite dish. The men would make it the other side now. They chanted something melodic, their hands clenched around smoking sage, and I saw my husband close his eyes, now given over to the anointing of our North Park property and praying for everything and everyone who’d ever tried to live here. This is somehow the perfect close to the emotional roller coaster that the talented ZoBell has orchestrated. The short stories that follow it, each highlighting some other pairing of characters, are equally well-constructed, and contain, quite frankly, some of the best writing I’ve come across in a long while. 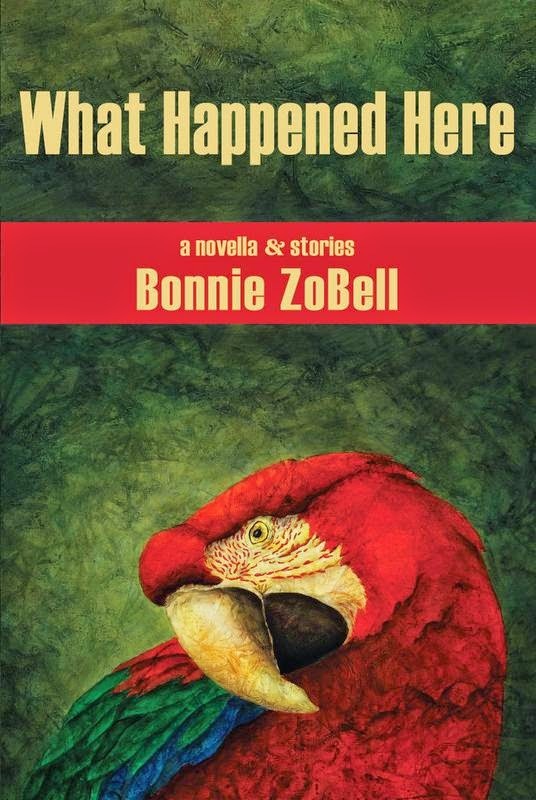 In many places, ZoBell’s work feels like a grittier version of Raymond Carver’s psychological fiction, but in others it’s more like something lifted out of the pages of Isabel Allende or Sandra Cisernos. And I’m not just saying that because of the Latin American characters and themes introduced in those spots. It is more about the lushness of the prose. Purchase What Happened Here HERE.